Of the start ups showcasing their ideas at the Technoport 2019 conference in Trondheim, the tech capital of Norway, one stood out as offering both a potentially disruptive innovation and potential emission reductions. 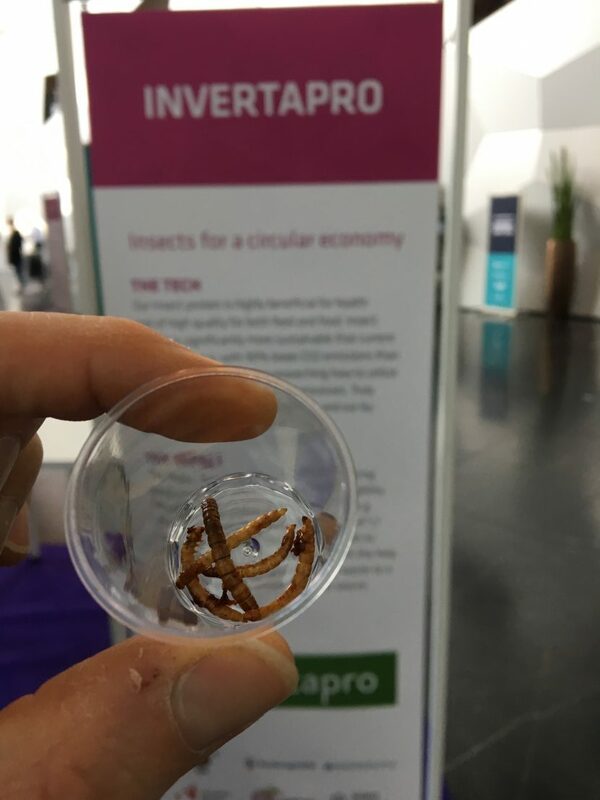 Invertapro breeds black soldier flies and mealworm beetles for use as protein substitutes in both human and animal food chains. Although they now have bread, protein bars and snacks selling in Norwegian food stores, they mainly supply the salmon farming industry with insect-based food as a substitute for fishmeal. Chatting with one of their founders, it was fascinating to learn how much of the start up challenge had not been with technology R&D but with getting regulatory approvals to sell a novel type of food … despite the fact we already eat a lot of insect detritus in coffee, honey, and many other food stuffs besides.